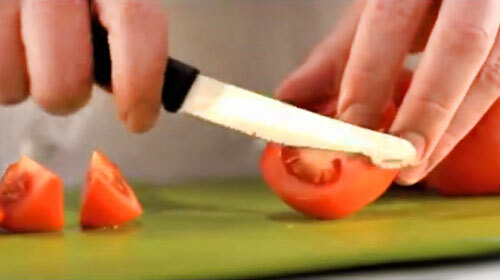 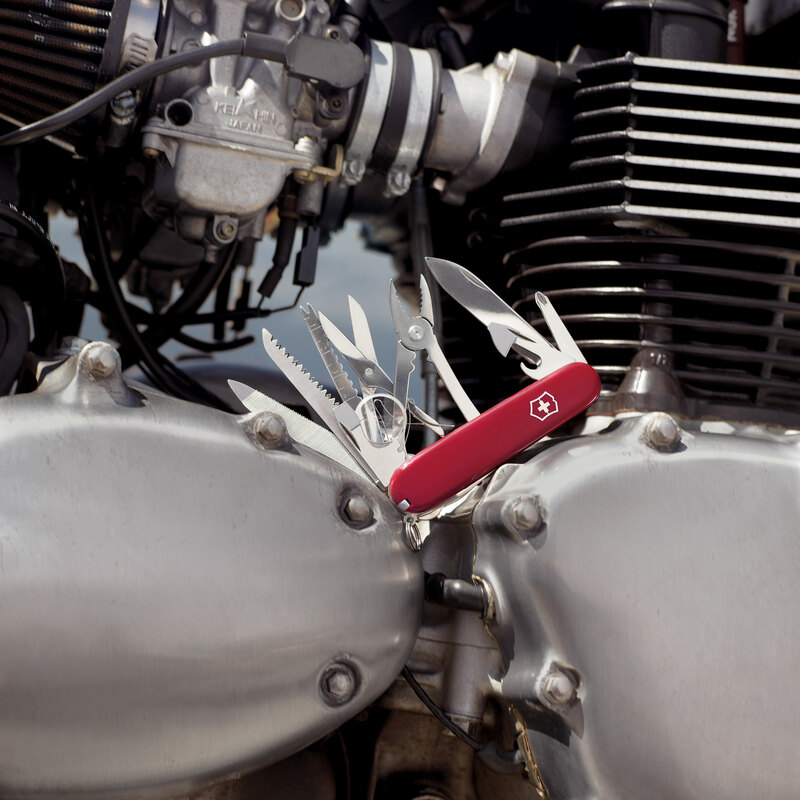 The Victorinox Swiss Army SwissChamp Pocket Knife is designed for both everyday and not-so-everyday projects. 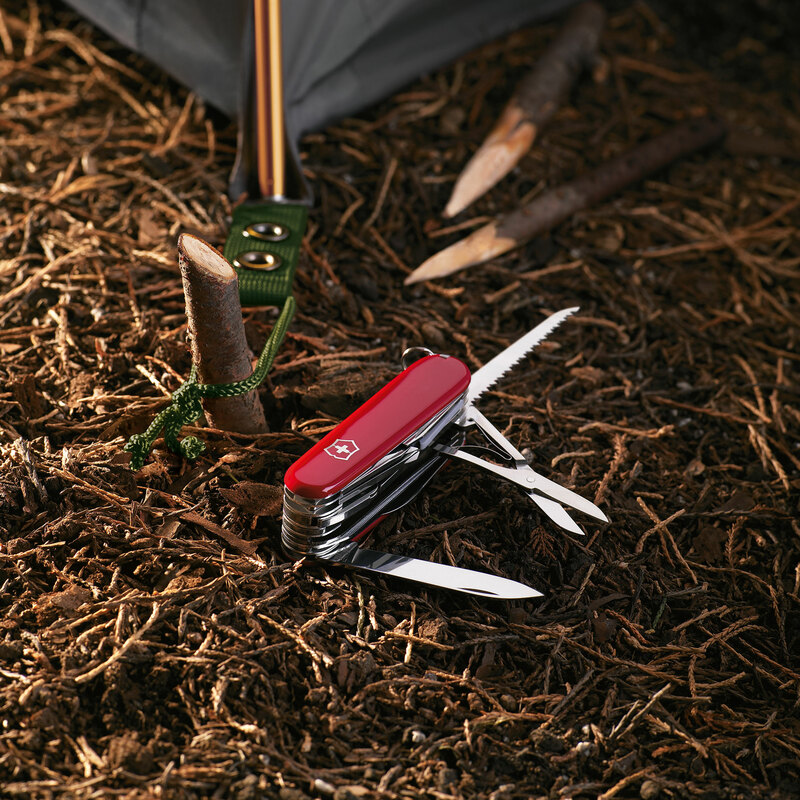 Whether you use it for a quick fix in your home or for your camping adventures, this multitasker will quickly become an essential and handy helper. 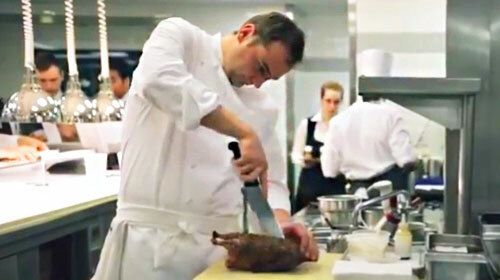 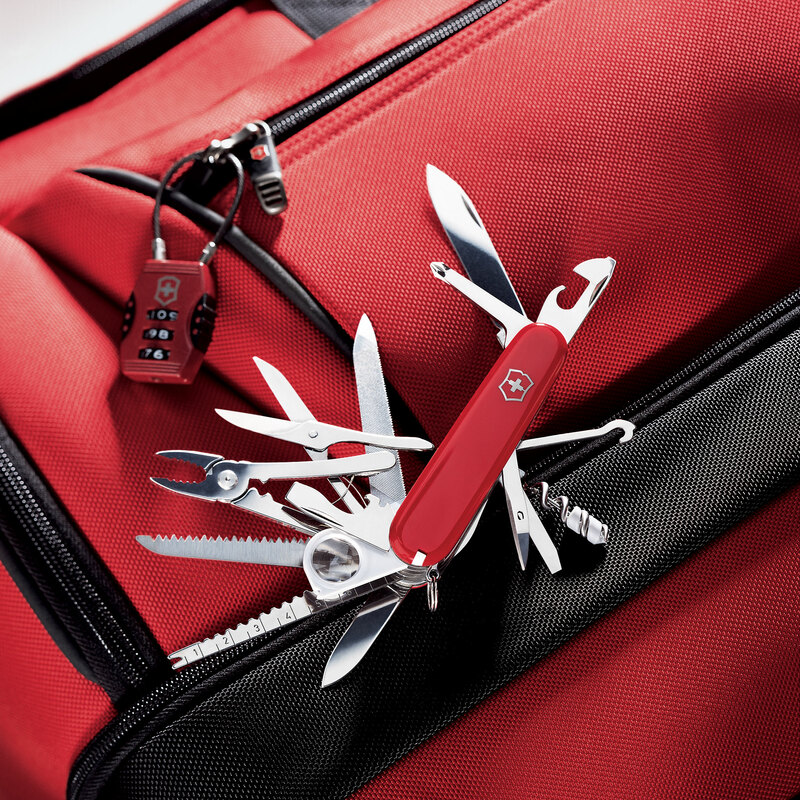 Packing 33 functions, the SwissChamp is like having a toolbox in your pocket. 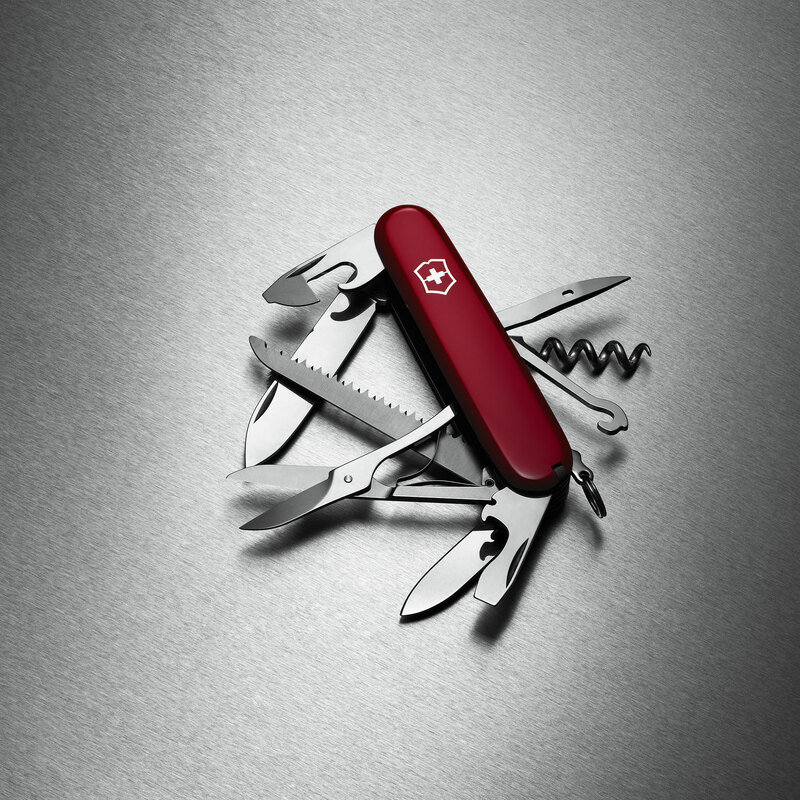 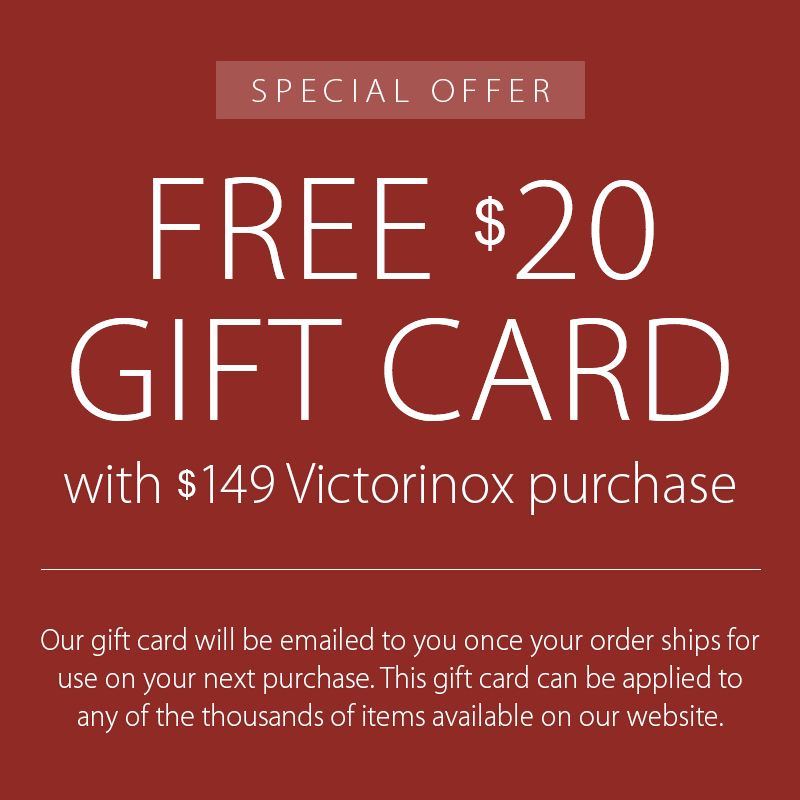 From a fish scaler to wire cutters, a magnifying glass to mini-screwdriver, the Victorinox Swiss Army SwissChamp has a tool for nearly any job without adding significant bulk to your gear, making it the perfect companion for virtually anyone. 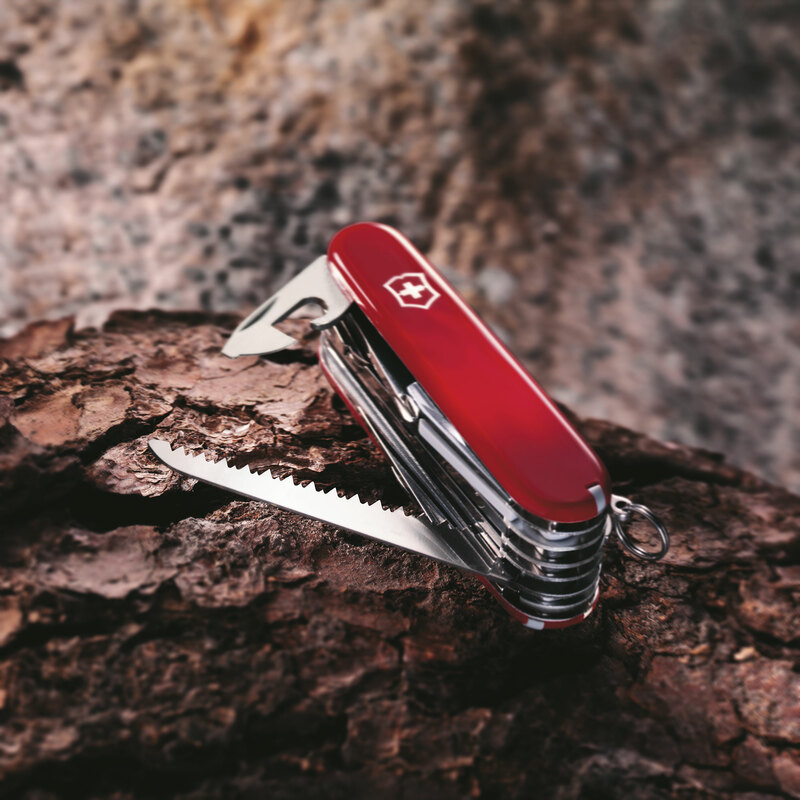 Backed by a rich heritage of quality and craftsmanship, this highly versatile knife perfectly represents the ultimate in functionality in one convenient tool. 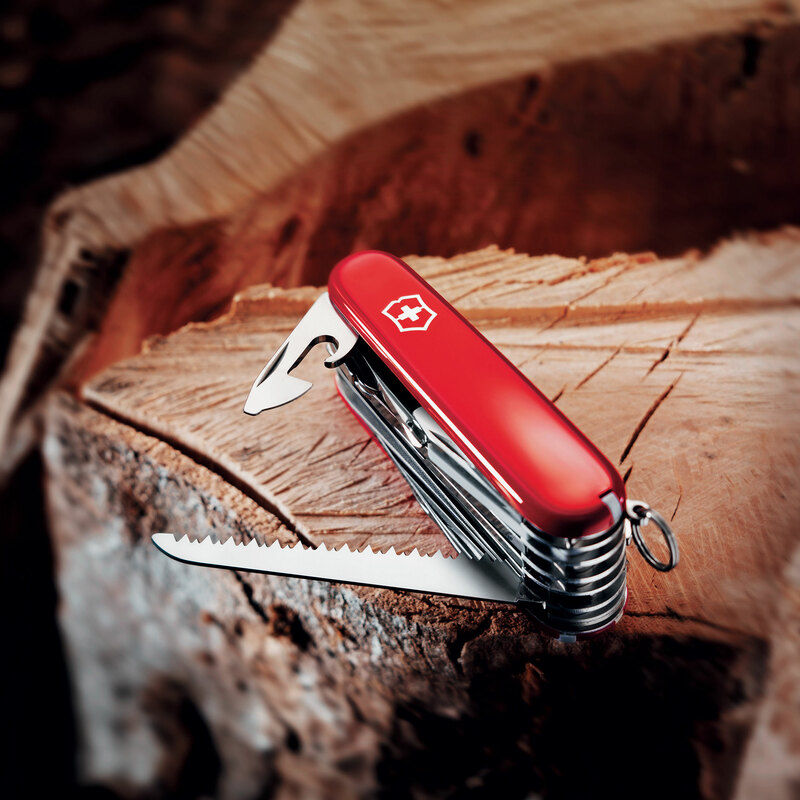 Like all Swiss Army Knives, the SwissChamp has a lifetime warranty, stainless steel implements and Swiss-made quality and durability. 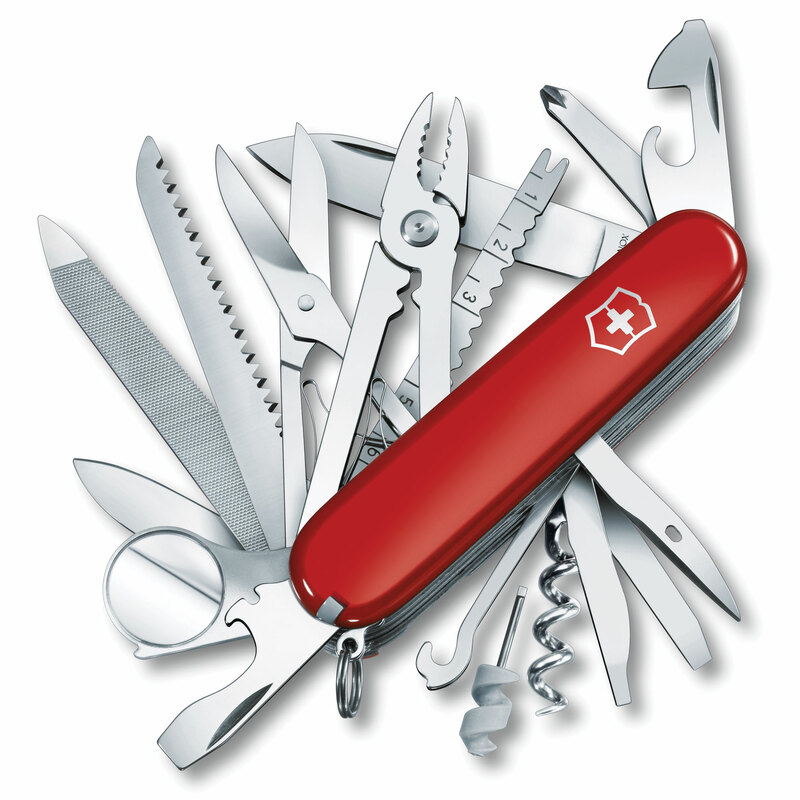 Includes 33 Functions: Large Blade, Small Blade, Corkscrew, Can Opener, Small Screwdriver (also for Phillips Screws), Bottle Opener, Large Screwdriver, Wire Stripper, Reamer, Key Ring, Tweezers, Toothpick, Scissors, Multi-purpose Hook (Parcel Carrier), Wood Saw, Fish Scaler, Hook Disgorger, Ruler (in/cm), Nail File with, Nail Cleaner, Metal File, Metal Saw, Fine Screwdriver, Chisel/Scraper, Pliers, Wire Cutter, Wire Crimper, Phillips Screwdriver, Magnifying Lens, Pressurized Ballpoint Pen, Straight Pin, Patented Mini-Screwdriver, and Sewing Eye.